How Often to Weigh Yourself? How often should you weigh yourself – have you wondered? Long term weight loss success leaves clues. After five years of successful long term weight loss, I thought I should ‘weigh in' on this subject. Some people say you should not weigh yourself too often. Some say do not weigh yourself at all. Some say to weigh yourself every day. This is why the same question of how often to weigh yourself comes up over and over again. Weigh Yourself Daily, Weekly, Monthly or Never? My opinion is daily. Not hourly, just once a day in the morning before breakfast. The first reason to weigh yourself is in order to establish a baseline. Once you know your scale weight, you can easily determine if you are overweight or worse, obese. The ideal body weight formula is 100 – 106 pounds for your first 5 feet of height, plus 5 – 6 pounds for every additional inch. Once you know your ideal body weight, now it is time to find out where you are now. This is the easy part, all you have to do is step on the scale. You have to establish a baseline if you want to improve your health and fitness. Weigh yourself now and write down your weight and the date. You will be glad that you kept a record three to six months from now. This first one is the Conair Scale which I have used over the past six years. I have gotten great use out of the Conair for the last six years. Click on the image of the scale above or this link here for this scale. 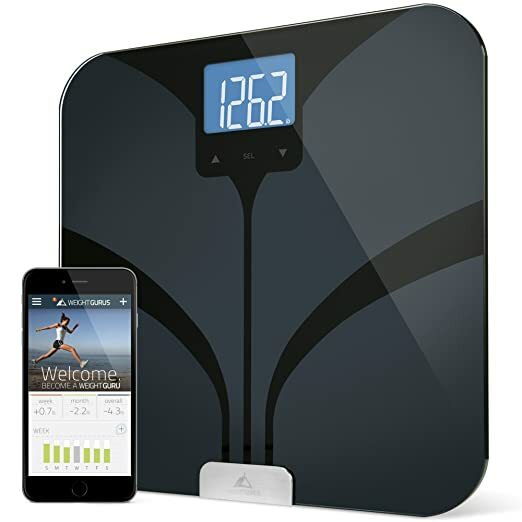 Another good body composition scale is the Weight Gurus Scale, especially if you are a bluetooth connectivity fan. Click on the image of the weight guru scale above or this link here to get this scale. After losing over 75 pounds in 6 months, I got sloppy. I never thought much of how often you should weigh yourself. I thought that I had everything all figured out. But, I didn't. I stopped weighing myself most days of the week. One evening, I was out with someone I hoped to impress. But, she told me that she suddenly realized that I had really packed on the pounds. So much so that even my nostrils had gotten fat and were flaring out. Flaring nostrils day. I knew that my clothes were fitting tighter, but I assumed it was not too big of a deal. That night, I finally took out that conair scale again, hopped on it and got quite a shock. I had regained 30 pounds in only six months! I spent close to two years losing a 100 pounds in total and in just half a year had already put on a third of what I lost. This is not surprising, since research studies have shown that up to 95 percent of people who lose weight, regain it. I had to become conscious again of how the food I ate and the exercise I did was causing weight creep. Fortunately, once I got back on the scale daily and made several adjustments, I took off those 30 pounds in about 4 months. I write about these modifications in this article which will give you the recipe for losing up to 24 pounds in 3 months or 48 pounds in 6 months. As a result of my own experience, I am a firm believer in the daily weigh. Why Do You Need More Metrics? Scale weight, because from your scale weight, you can determine how close or far you are from your ideal body weight. BMI is useful, since unless you are an athlete, your BMI will also tell you whether you are overweight or obese. A BMI over 25 is considered overweight and a BMI over 30 is considered obese according to the American College of Sports Medicine. Knowing your body fat percentage is also useful for you to be aware of just how much fat you are carrying. Reducing your fat percentage can help you reduce your total cholesterol. For example, one person I coached had a cholesterol of 270 and his doctor wanted him to take statin medication. After six months and a weight loss of 75 pounds, his cholesterol was under 170, without statin medication, without drugs. Previously, his blood pressure was over 130/90. Today it is 120/80. And before losing weight, his A1C was near type 2 diabetes levels. Thankfully that is no longer the case. Even knowing your hydration is worthwhile. Your body is approximately 60 percent water. But, if you are overweight, do not be surprised if you are at 50 or 55 percent. This is because you are dehydrated. You never want to be dehydrated. When it comes to losing weight, changing your life isn’t as difficult as you may think. New research has indicated that even a small weight loss can result in enormous gains and potentially life-saving changes. You can reduce your risk of heart attack, cancer, stroke, dementia, and more – by losing just 10 pounds. By losing just 10 pounds, you can prevent deadly illness, alleviate daily pain, and improve your quality of life. Being overweight is linked to high levels of LDL, which is the “bad” type of cholesterol. As LDL cholesterol circulates through your blood, it can deposit plaque in your arteries, narrowing them – which can lead to heart attack or stroke. Exercise and a healthy diet will help increase your HDL cholesterol, which is the “good” type of cholesterol that stops LDL from depositing on your artery walls. Ten pounds of weight loss can lower cholesterol by more than 10%. Blood pressure measures the pressure on your artery walls, so if you have plaque buildup in your arteries, your blood pressure will be high. Hypertension thickens the walls of the heart, leaving them stiff and prone to heart failure. As the heart works harder, blood vessels in the kidneys can be damaged, which can lead to kidney failure. Losing 10 pounds will decrease your blood pressure, protecting your heart and kidneys. Excessive plaque buildup can result in dangerously narrowed arteries. In the case of a heart attack, your coronary artery becomes completely blocked, cutting off the oxygen that your heart muscle needs, with possibly fatal results. As mentioned above, weight loss lowers your blood pressure and cholesterol. Incredibly, just 10 pounds of weight loss can result in a greater than 50% risk reduction for heart attacks. Nearly half of Americans have too much visceral fat, the abdominal fat that surrounds your internal organs, visible in their protruding bellies. The danger is this: visceral fat contains cells that release inflammation-causing chemicals in the body, which can cause memory loss and increase your chances of developing dementia. Additionally, 2 symptoms of obesity, high blood pressure and high cholesterol, can put you at risk for stroke. Some strokes, known as “silent strokes” can occur without symptoms – but each time, blood is cut off to the brain, resulting in damaged, dementia-prone brain tissue. High blood pressure and cholesterol can also increase the likelihood that you’ll develop Alzheimer’s disease. When you are overweight, extra tissue thickens your windpipe wall, narrowing your airway. Consequently, the size of your tongue and tonsils become a threat to the narrowed airway – especially when you are sleeping, and can cause a life-threatening condition known as sleep apnea. In this illness, an unsuccessful effort to take in air results in a dangerously low oxygen level while you're sleeping. Your brain shocks your body awake to keep you alive. If you have severe sleep apnea, you can be woken up hundreds of times a night. Losing just 10 pounds can widen your windpipe, helping you sleep through the night and reduce your risk for developing sleep apnea. 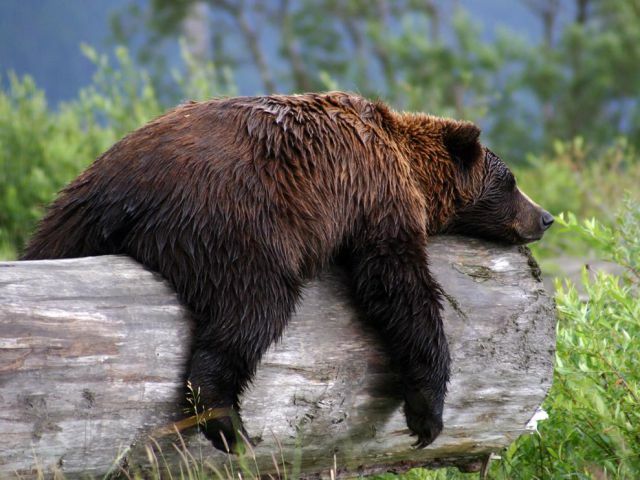 And when you sleep well, your levels of leptin (the hormone that signals when you’ve had enough to eat) rise. So, a good night’s sleep will help you lose even more weight. Being overweight puts huge pressure on your joints. For each extra pound of excess weight on your body, you add 3 times that amount of pressure on your knees. This means that 10 extra pounds equates to 30 pounds of pressure grinding down. And when walking up stairs, multiply your extra weight by 7. Thirty pounds of pressure just became 70 pounds. Over time, this force wears away your cartilage, leaving an area of arthritis. As you lose weight and reduce the pressure on your joints, the cushioning between your bones will build back up. A 10 pound weight loss over 10 years may result in as much as a 50% decrease in your odds of developing osteoarthritis. The exact reasoning remains unclear– but fat cells are highly active, releasing large amounts of hormones like estrogen, insulin, and insulin-like growth factors that can fuel many cancers. The risk for many types of cancers declines when you lose weight, but it's particularly true for breast and uterine cancer, where losing only 8 pounds can significantly reduce the levels of specific carcinogenic hormones. The more excess weight on your body, the less sensitive your cells become to insulin, the hormone that manages the movement of sugar into your cells. Being overweight puts you at huge risk for developing type 2 diabetes, where your body’s cells become resistant to insulin and cannot function properly as a result. By getting active and controlling your weight, you can increase your response to insulin. A weight loss of 10 pounds can reduce your chance of getting diabetes by 60%. Your drive is affected by high blood pressure and diabetes, conditions you’re likely to have if you’re overweight. Additionally, erectile dysfunction can be a problem for as many as 80% of obese and overweight men. Even if you only reduce the dosage you currently need for high blood pressure or diabetes, you’ll still save money on your prescriptions. A recent study estimated that cutting just 100 calories a day could prevent or eliminate 71.2 million cases of obesity and save $58 billion annually in the United States. Your omentum is the pouch that contains your belly fat. The extra weight you are carrying on your omentum begins to squeeze your kidneys. Your blood pressure raises and your liver fattens; the accumulation of this fat characterizes nonalcoholic fatty liver disease. This added weight leaves your liver unable to process toxins. Over time, your liver hardens, and scar tissue begins to build up to replace liver cells. This scarring is called cirrhosis, which leaves you feeling tired and groggy. Weight loss will allow your liver to recover. As it repairs itself, it decreases the toxins in your body. You’ll see changes in how you feel and behave. Whatever your reasons for losing weight are, get on the scale and find out where you are holding right now. How Often Should You Weigh Yourself – Summary. In summary, how often should you weigh yourself? Every day, or at least most days of the week. I know that there are other opinions and concerns with eating disorders. However, this is a simple practice that I have found to be effective. What do you think about how often you should weigh yourself? Shoot me your questions and/or comments to me here.